There are a lot of concerns kids may have about getting their first set of braces. Many children are worried about how their smile will be altered just following the procedure. Will the other kids accept them? Will they be made fun of? Will they hurt? A dentist specializing in children’s dentistry is the best consideration due to the fact that dentists with a specialty in taking care of kids are better able to sensitively handle the concerns of a child going through this situation. Fortunately for patients in the Ontario, CA area, City Dental Centers has recently opened City Dental Kids & Braces to achieve just that. 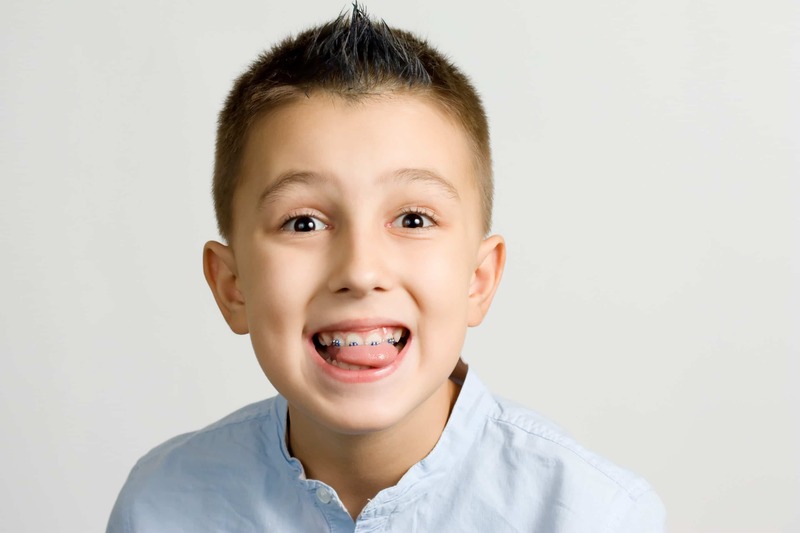 But when should you begin considering braces for your kids? Here are some considerations worth making. Many parents think that there is a certain age when they should take their kids to see an orthodontist. The reality is that age isn’t the only indicator or even necessarily one of the main ones. Children can go to their first orthodontist visit at any age and the most important indicator is actually need. There are many ways to tell if your child needs to see an orthodontist. There are many indicators that your child needs to see an orthodontist. The most obvious one is if your children’s teeth are crooked in appearance. Other appearance issues may come from the upper and lower jaws being different in size, known as malocclusion. One example occurs if the upper jaw is bigger than the lower jaw, causing what is known as an overbite. The reverse situation, where the lower jaw is bigger than the upper jaw, causes an underbite. Must See: Cogniflex Reviews and Ratings – ‘Don’t Buy It Until You See This First’. It plays an important role in the treatment of neurological.Cogniflex Reviews. Time to get your brain on steroids. Are you experiencing any of these problems? — Unable To Focus? — Trouble Remembering Things? Less obvious problems may be discovered over time. For example, if your child has trouble biting completely through a sandwich, this may be an indicator that their teeth, even if they appear straight, are not biting down all the way due to alignment issues. If your child has had any accidents or other issues occur to their teeth, as well as if the baby teeth were lost too soon, orthodontic work is frequently recommended sooner rather than later. While talked about less often, having crooked teeth can wear on a child’s confidence. If your child ever expresses frustration in their smile that may be fixed by having their teeth straightened and/or jaw aligned, it’s a good idea to visit a dentist to see what options may be available. In many cases, insurance may cover some or all of the costs if the work is not just cosmetic related and actually impacts the functionality of the mouth. It’s a good idea to start scheduling regular dental checkups for your child at a young age. In most cases, your dentist will be able to recommend to you when you should schedule your child’s first orthodontic appointment. The American Academy of Pediatric Dentistry (AAPD) recommends that a child go to the dentist by age 1 or within six months after the first tooth erupts. Make sure your child sees the dentist regularly and go off the advice of your trusted dentist from there. For all your children’s dentistry needs, choose City Dental Kids & Braces! The trusted dentists at City Dental Kids & Braces will be happy to schedule your child’s next dental appointment to talk to you about their current needs and options for braces. Feel free to contact them today at 888-553-7775. They will gladly take your child in for a visit at the earliest convenience to talk about options for braces! City Dental Centers and City Dental Kids & Braces was established by Dr. Sam Shahoveisi and Dr. Michael Danial to bring the experience of being like family to patients. With multiple locations across Southern California, City Dental Centers is the best choice for any and all of your dental concerns. The professionalism of their doctors will ensure you the best possible care before, during, and after your dental procedure. Need to locate a City Dental Centers office in your area?